With over 33 years of experience and expertise in the field, Dr. Richard J. Heinowitz continues to offer optimal dental care to the infants, children, teens and young adults of Monmouth and Middlesex counties. 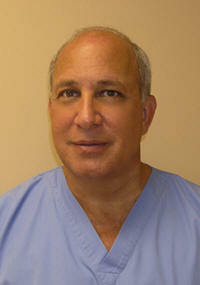 Dr. Heinowitz graduated from Georgetown University, School of Dentistry in 1977. He continued on to complete his specialized training in Pediatric Dentistry at the world renowned Eastman Institute for Oral Health at the University of Rochester in 1979. Dr. Heinowitz continues to educate himself on new advancements in the field and lectures regularly on the subject of new technologies in dentistry. He is on staff at Robert Wood Johnson University Hospital and he teaches preventive dentistry and new approaches to pediatric technologies at UMDNJ. As a community service, Dr. Heinowitz and his staff provide a hands-on, educational dental health program to thousands of students in the Monmouth and Middlesex county school systems each year.